For information and inquiry regarding GMM’s, please contact our Vice President, Nic Holwerda, at ‘Holwer16@msu.edu’. General Membership Meetings are SCMA-facilitated gatherings for employers/recruiters and students. Company recruiters typically share their company values, culture, operations, employment opportunities, and have an open forum Q&A at the end of the meeting. Additionally, the SCMA Executive Board announces upcoming events such as trips, bar-crawls, career fairs, involvement opportunities, etc. Not to mention, we provide free food at every GMM! Students of any grade level that are studying Supply Chain Management or are interested in learning more about SCM are encouraged and more than welcome to attend. Each year, SCMA has dozens of companies present to our members. 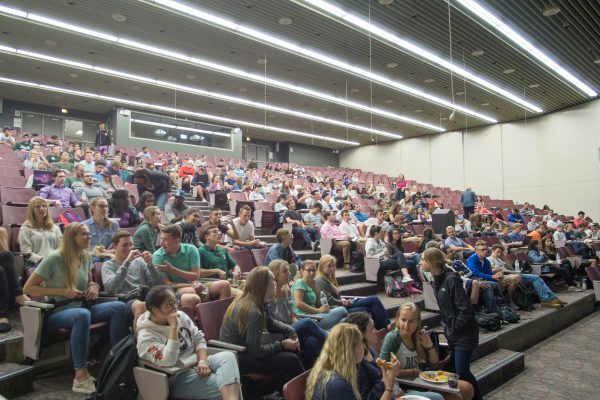 A majority of the presenters are Michigan State University Alumni and are the same recruiters that recruit at the main on-campus career events. Our SCM Faculty Advisor, Judy Jacobs, is in attendance at all of our GMMs. She is a wonderful resource for any SCM student seeking guidance or career help. For more information, visit Here.